Compassion is a term that seems to get tossed around with increased frequency these days. We are told to show compassion for Central Americans illegally crossing into the United States and Palestinians being killed by Israeli air strikes in Gaza, as well as the poor and suffering in our own communities. But what does it actually mean to be compassionate? Is it simply giving people what they want? Leaving them alone? “Tolerating” them? I would define compassion as acting in a way that recognizes the common humanity of others. To embrace the Bill Clinton cliché, it involves “feeling their pain”; we have to both suffer with them and endeavor to alleviate their suffering. Compassion is not tossing a few crumbs from the table and saying, “Here is something to you more comfortable down there.” Rather, it is bending down to pick each other back up. Compassion is one of the central messages of the Gospel. Christ calls us to serve the poor, the sick, and the marginalized—as He Himself did. Christians understand that this obligation extends into the public and political spheres. We have a duty to elect leaders and support policies that promote our values. But Christ’s message was not intended for governments or kings; it was directed at individuals. Only individuals are capable of showing true compassion. Only fellow human beings can break down the material distances that separate our bodies—the superficial differences of appearance and circumstance that make some lives seem more worthy than others. We do this when we give freely of ourselves, sometimes with as little as a smile, a hug, or a home-cooked meal. I have been overwhelmed with gratitude when people in my family and community have reached out to help me, especially when my son was born with a life-threatening heart defect. But I have never felt this way about government assistance. I have been filled with joy while serving people in my family and community, but never when paying taxes. Anyone who has ever suffered a serious illness or trauma will tell you that while they needed the experience and expertise of medical professionals, they also needed to be reminded of their basic humanity. The right doctor or nurse can give a patient love and hope, while the wrong one can make them feel less than human, like a piece of malfunctioning equipment on an assembly line. Very few doctors intend to hurt their patients, yet many do, or we would not have so many medical malpractice lawsuits. Sometimes even well-intentioned policies have the unintended consequences of harming the very people they are designed to help. Foreign aid can prop up corrupt regimes and stifle the development of local economies. Certain welfare programs have been shown to discourage initiative and breed dependency. Opening our borders will invite terrorists and gang members to harm our people and hurt the middle class. Denouncing Israel for defending itself will embolden Hamas to continue their attacks on Israeli civilians and to cynically use their own people as pawns to enflame Anti-Semitism and opposition to Israel around the world. Typically, the closer we are to someone, the more we will do to ensure their well-being. But we have a responsibility to show compassion even to suffering people in distant lands. Millions of Christians are being killed or forced to flee from all over the Middle East. Since 2003, Iraq’s Christian population has dwindled from 1.5 million to 400,000. 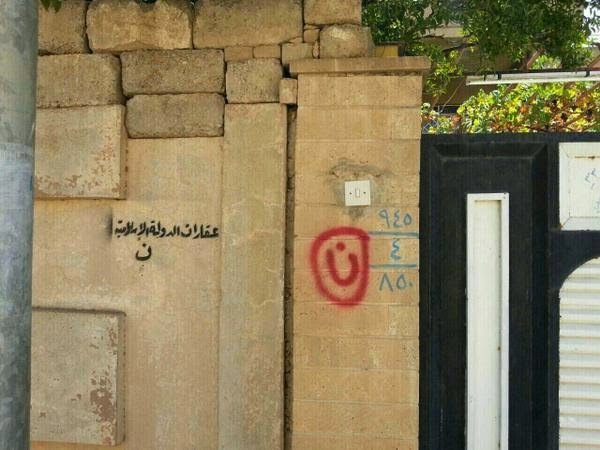 Just this month, ISIS purged Christians from Mosul whose ancestors have worshiped there for 2,000 years, burning ancient churches and marking the homes of Christians as targets for looting and persecution. 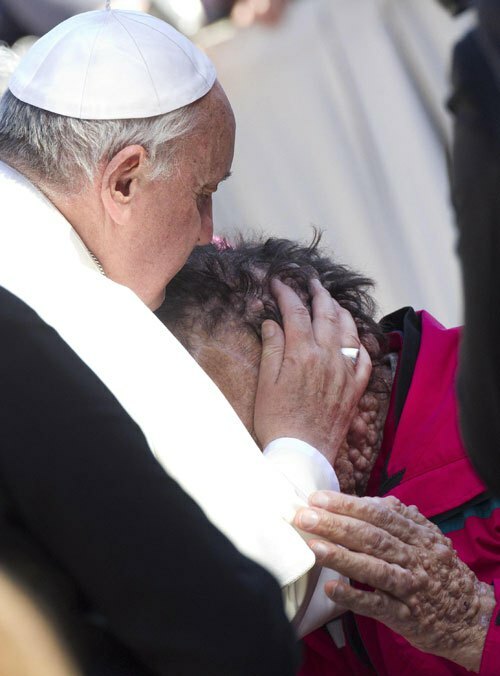 Pope Francis has shown us how one man’s compassion can inspire millions. When he washes the feet of a Muslim woman and kisses the face of a disfigured man, his actions recognize their common humanity. He reminds us that serving others is an honor and a privilege. What we do for the least of God’s children, we do also for His Son. 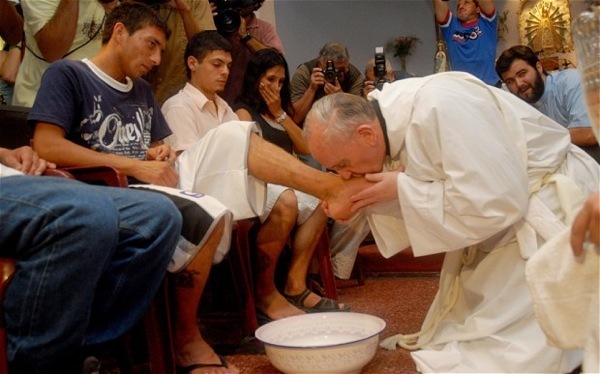 When Pope Francis criticizes the flaws of global capitalism or opposition to immigration, he does so not to advocate for the alternatives of socialism or open borders, but to remind us of our common humanity. Poverty, illness, imprisonment, and war are all conditions that degrade the dignity of the individual. We have an obligation to show compassion to those most in need of being reminded of their worth. Many on the Left sincerely believe their policies are necessary to help the poor and oppressed in the United States and around the world. They may even see it as their Christian duty to support socialist redistribution and amnesty at home and to call for an immediate ceasefire in Gaza. But certain politicians in America and radicals abroad have found that they can win more support by dividing people against each other than encouraging them to unite with a common purpose. They stifle compassion by dividing us into camps, and in its place grow resentment and contempt. I have stated before that liberals do not have a monopoly on compassion, and neither do conservatives. Neither do Christians. We are just as prone to sin as anyone else, and in just as great need of God’s grace. Even as we defend our borders, we cannot dismiss illegal immigrants as “parasites.” Even as we denounce Hamas, we must empathize with the victims of violence in Gaza. When it comes to helping others, we can never give enough, serve enough, or care enough. Compassion does not mean using the powers of government to give each group what it wants. Rather, compassion is reaching out to the suffering and having the courage to stand up for the persecuted. It requires us to see people not as members of racial, religious, or social groups, but as fellow human beings. Compassion means accepting that the responsibility to help others rests primarily with us and not with government.